Arbuscular Mycorrhizal Fungi have a large potential to help increase global food security. They constitute the most important microbial symbiosis for the majority of terrestrial plant species. Their ecological functions in the productivity and stability of agroecosystems have been recognized for many years. Many studies have shown that these symbionts improved plant growth and plant resistance to biotic and abiotic stresses. Despite the proven potential of mycorrhizal symbiosis to sustainably improve the productivity of agroecosystems, this biotechnology is still under exploited. This failure mainly results from technical difficulties to mass-produced fungal inoculum of high quality and a lack of knowledge about the biological factors regulating the soil receptivity of arbuscular mycorrhizal inoculation. In order to promote mycorrhizal soil infectivity, two main approaches could be considered: (1) the “reductionist” approach that consists to add into the soil, a large quantity of fungal propagules of a specialized AMF and (2) the “holistic” approach that aims to conserve and restore native AMF diversity and abundance. 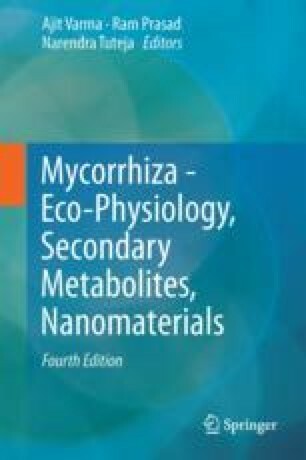 In this chapter, we will examine the environmental factors that affect the mycorrhizal diversity and abundance and limit both approaches as they can both be of interest, trying to explain to what environmental solution they would be more adapted.